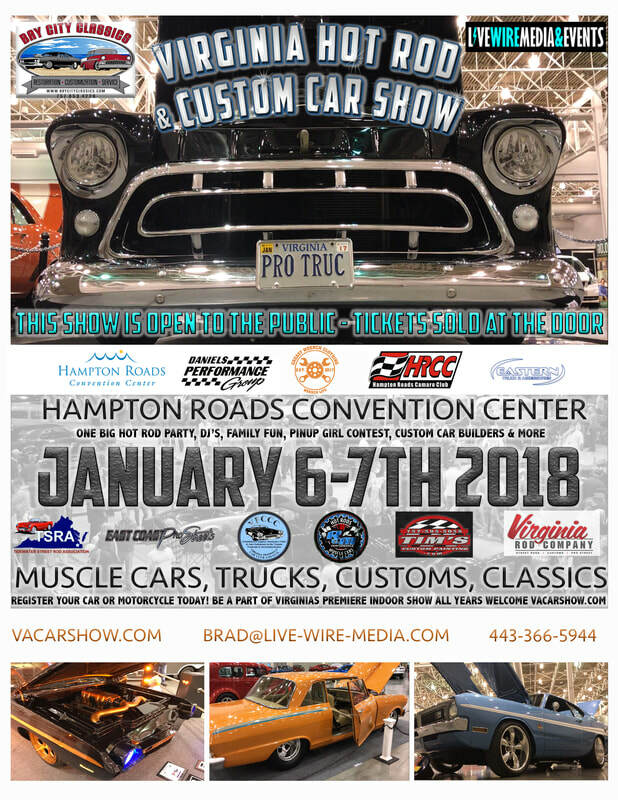 The sixth annual Virginia Hot Rod and Custom Car Show, Jan 5 -6, 2019 will offer more space for expect the Mid-Atlantic’s best hot -rods, muscle-cars, customized rides and classics along with live entertainment and vendors . Mark your calendars-- Hampton’s biggest classic car show is heading to the Hampton Convention Center Jan 5 - 6, 2019. 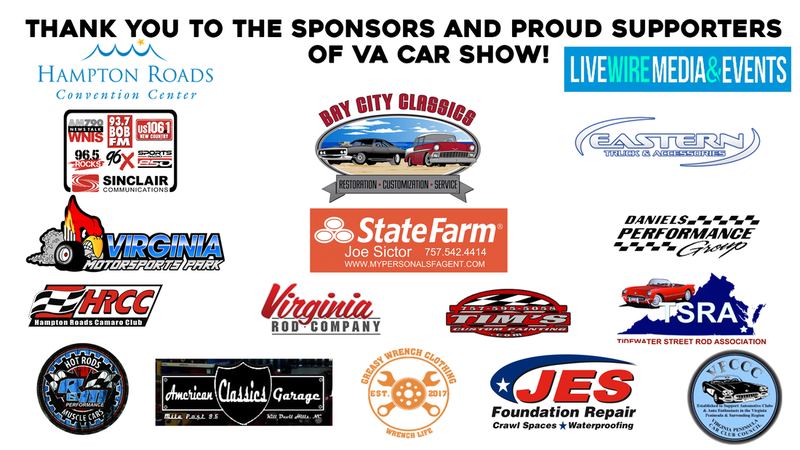 Live Wire Media’s Virginia Hot Rod and Custom Car Show will be a surefire way to kick-off the car show season. Registration for the Virginia Hot Rod and Custom Car Show is currently open .